Home Editor's Picks Ukrainian presidential elections 2019: what’s at stake? The Ukrainian people had made historic choices for independence, democracy and the free market more than a quarter century ago, but they have only partially achieved their vision of a fully democratic and prosperous state.Ukraine is undoubtedly an established political entity with internationally recognized sovereignty, widespread corruption and regressive political cycles. Moreover, Russian occupation, military aggression, hybrid warfare, and a subsequent economic recession, have hampered its democratic and free market development.Ukraine emerged as a very pluralistic but volatile democracy after the dissolution of the Soviet Union. In the 1990s, the political system of the country evolved along two parallel lines that combined the liberal democratic facade and the power and resources of the post-soviet oligarchy. There were two revolutionary cycles, spanning around 1992–2004 and 2005–2014, in the contradiction between these two dimensions of politics in Ukraine. Every cycle was soon replaced by the simulated democracy that was driven mainly by oligarchic competition, and then subsequently by authoritarian consolidation, leading to civic protests and possible regime changes, which reset the cycle. Those cycles have inhibited the transition from the Soviet to a fully democratic state of Ukraine. Whether Ukraine’s democratic development will set on a sustainable road following Euromaidan 2014, closer political and economic association with the European Union (EU) or on the Donbas war depends on the upcoming elections.There are numerous reasons to hope for the best, but the sustainability of present reform efforts and democratic politics is also a cause for serious concern. A number of key dichotomy areas have been addressed to the constitutional order of the post-Soviet Ukraine: Presidentialism versus Parliamentarianism, power centralization versus local self-government and institutionalized democracy versus persistent clan politics. The present scenario of presidential election campaign for Ukraine is shaping up to be if anything, a big show. 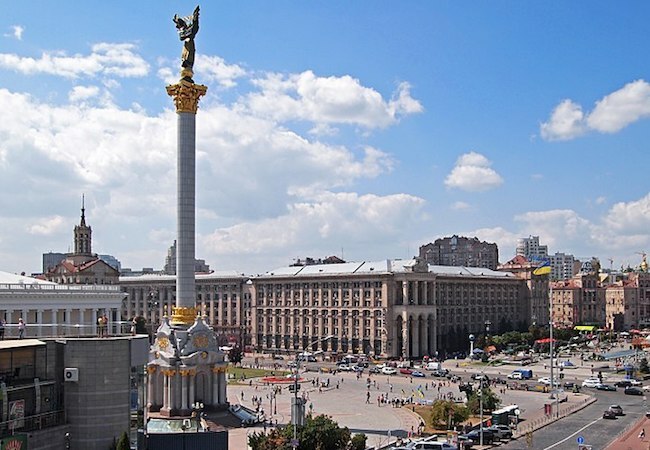 Ukraine has a hybrid presidential-parliamentary system which makes governance tricky. However, a presidential election on March 31, 2019, followed by parliamentary balloting later in the year, will examine whether the country’s institutions and leaders are keeping pace with the people’s desire for change or not. The level of change made in recent years since the 2014 Euromaidan revolution forced the regime of Viktor Yanukovych to flee to Russia has been much discussed. The electorate’s central concerns are the ongoing Donbas war launched by Russia, the economic welfare of the country, and the level of corruption. However, the electorate must also pay heed to countering Kremlin interference for ensuring the stability and unity of the country. A realistic assessment of the Ukrainian economic reforms over the last four years is indispensable. It is certainly incorrect to suggest that “nothing has changed” as it is evidently witnessed that a number of key factors have been taken forward. These include the price of natural gas for the market, reducing budget deficits, stabilizing national debt, decentralization of power to the local level, visa-free travel to the European Union, the establishment of anti-corruption institutions, changing procurement processes, the enhanced VAT refund system, changes to business regulation and the restructuring of the banking system. But, the future for dynamic economic growth is unfortunately lacking and cannot be ignored. The administration has not been seriously involved in sinking corruption and in establishing a proper rule of law over the last four years. The evidence for Ukrainian citizens is abundantly clear, the current government has consistently appointed prosecutors that have not steered any significant prosecutions. In particular, the government has failed to bring known major oligarchs to justice, some of whom have obvious ties with Russia. Furthermore, the reform of the judiciary introduced by the administration was significantly derailed by the inclusion of judges with identified reputations of corruption, as assessed by independent observers. The police reform was stuck on the road patrols with little change in the system as a whole. The anti-corruption institutions designed to address the problem have been constantly hindered in their operations by other levels of the judicial system, openly harassed and even infused with utterly corrupt officials. Civil society which have remained vigilant and acted as a watchdog in exposing cases of corruption, have been attacked and beleaguered by the controlled media and police. The implementation of the Asset Declaration System, cited by supporters as evidence of change, is a prime example of the management’s thwarting of reforms. The objective of this system was to expose high-level officials and politicians to illegal assets. These statements were, in fact, submitted and made public. However, the filings have not been seriously followed up and officials with clearly dubious assets have not been prosecuted. Worse still, the system was extended to require a leading anti-corruption filing by the civil society. This extension was obviously a form of bullying especially of activists. The closure of many illiquid banks was also a frequently mentioned reform, but the public had been deeply deceived in the implementation of this policy. The state guaranteed funds to be paid to the depositors of those banks, which had failed, trillions. Simultaneously, there were very few efforts made to deal with the corrupt owners high handedly. The most serious example of this would be the acquisition of Private Bank, the largest bank in Ukraine, whose oligarch owners have not been prosecuted and the public purse has lost about $ 4 billion (USD). There is a disturbing lack of commitment to combating corruption and establishing a rule of law over the past four years, and this is a major cause of electoral disappointment with the present administration. External observers, like Transparency International, are apparent that Ukraine continues to rank among the most corrupt world’s nations. Other institutions such as the International Monetary Fund, the World Bank and Western governments have repeatedly required progress on corruption as a condition for loans and assistance. Corruption is the sole reason that the flow of investment has been reduced to a lamentable level. It has undermined the country’s budget and has damaged its pension, training or infrastructure capacity. It has allowed oligarchic interests to continue to prevail, leading to excessively regulated prices. Small and medium-sized enterprises have become less evolving. Even the resources allocated to the essential war effort resulted in misappropriation of funds.Keeping in view the above mentioned corruption issues, a credible and transparent election process can reinforce democratic system where voters must assess the candidates on the basis of credibility.The outcome of the 2019 elections will determine whether Ukraine will experience Orange instability or Euromaidan stability and progress. If Ukrainian voters choose the latter, Ukraine’s European integration by 2024 will be irretrievable. If the former, the end result could be unpredictable. Candidates with cash, controlled media and administrative power would have great favor of the election system. Only if a candidate with personal integrity and commitment is selected as the leader will true reforms be achieved. In achieving this aim, it is essential for Ukraine to consolidate all democratic forces to improve public confidence by strengthening the electoral framework. Ms. Dhanak Fatima is a Research Scholar, Foreign Policy Analyst and a contributing writer for international newspapers such as China Daily, Modern Diplomacy, EurAsiaAz and Eurasian Defence. She holds Master of Philosophy (M.Phil.) in Governance and Public Policy. Her areas of research incorporate regional as well as extra regional subjects especially United States, Russia, China and Central Asian Republics.